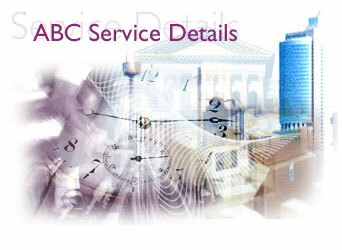 At ABC Couriers & Transport Services we see your success as a measure of our success. We offer your business a total support package that is limited only by imagination. Pickup and delivery in Sydney Metropolitan Area within 2.5 hours. Pickup and delivery within 1-1.5 hours (guide only, relevant to location). Services available from light commercial, from 250kg to semi trailer. Costing applicable to km or hourly hire. Push Bikes servicing the North Sydney and Sydney CBD areas. For regular inter office of warehouse services which are required on a permanent basis. For the collection from and to Post Boxes, Post Offices. Cheques to be picked up and returned to your office. Cheques picked up and banked into your account within 2 hours. Relevant to multiple deliveries proceeding in one direction costed at regular courier only from suburb to suburb. A direct service to Country regions. Available upon request. (Road express, Air express and Satchels).